What a stunning, happy bride Magda is! Our heartfelt congratulations go out to Magda and Tim, who tied the knot at the bright and expansive Vue on Halcyon in Chirnside Park. It was our absolute honour to be part of their big day, and we loved transporting this gorgeous couple. Our thanks to Magda and Tim for choosing JC Jags for their wedding car hire North-Eastern Melbourne. 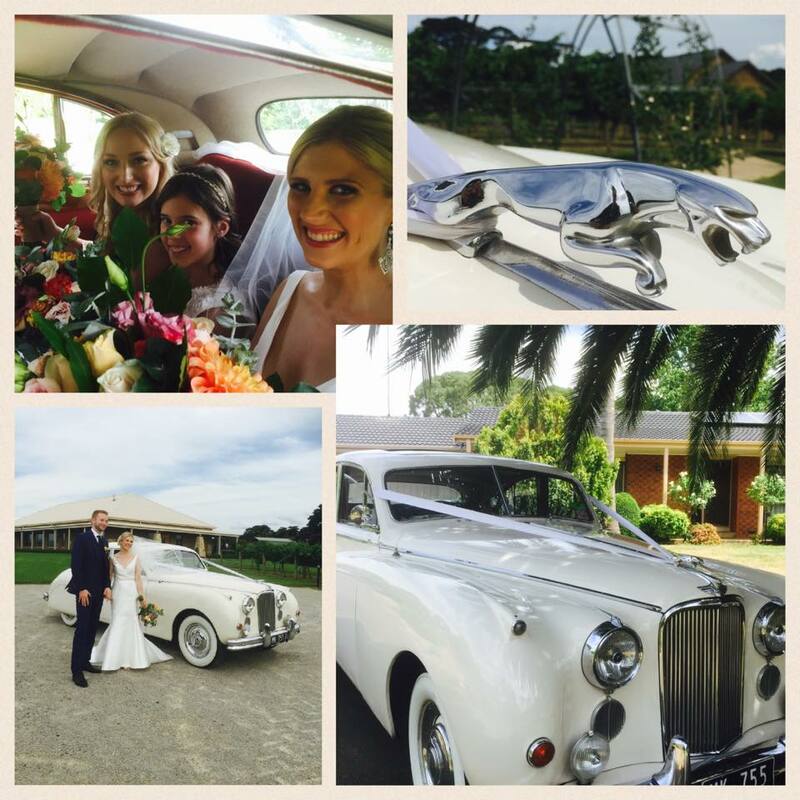 The happy couple wisely chose the Jaguar Mark 7 for their wedding car hire North-Eastern Melbourne. First unveiled at the 1950 Motor Show, the sleek modern lines combined with the high level of Jaguar luxuury meant the Jaguar Mark 7 was praised as being “one of the most impressive cars available in the world”. The Jaguar Mark 7 has elegant curves and flowing lines, embodying all the classic, vintage beauty of bygone eras. If you are looking for a gorgeous vintage car to compliment your wedding style and theme you can’t go past the Jaguar Mark 7. Take a leaf out of Magda and Tim’s book, and let JC Jags look after all your wedding car hire North-Eastern Melbourne needs! Contact us today – we would love to be part of your special day.